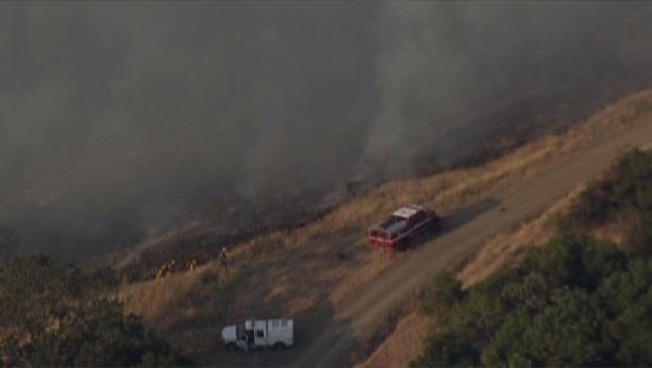 CalFire crews battled a small grass fire near the border of Los Gatos and San Jose on Thursday morning, which they said was spreading slowly and will be attacked by ground crews. By 8:30 a.m., a Cal Fire spokesman said the fire had grown to about five acres near Hicks and Reynolds roads above Almaden Quicksilver Park, and was 80 percent contained. Because of the heat, the spokesman said that crews would have to dig a berm around the fire, and that they would be out there for most of the day.